Cable network Investigation Discovery (ID) in the US is preparing to air a documentary exploring a murder fuelled by racism in Mississippi. Love & Hate Crime: A Murder in Mississippi offers “a revealing look” at the murder of a man who was targeted because of the colour of his skin by a group of white teens. The show is produced by UK-based Top Hat Productions, with Ben Steele the director, Victoria Musguin the producer and Darren Kemp the executive producer. The hour-long documentary examines the long-term impact of how prejudice, ignorance and racial slurs incubate hate. It will debut on ID on Saturday, October 13 at 20.00/19.00C. 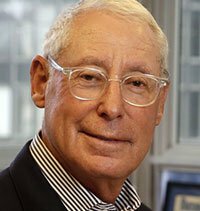 “We feel it is part of our mission at Investigation Discovery to shed light on these tragic crimes and, thereby, expose the truth that hatred, based on race, is sadly, all too prevalent in the United States,” said Henry Schleiff, group president of ID, Travel Channel, American Heroes Channel and Destination America. Murder in Mississippi is one of three Love & Hate Crime episodes that Top Hat produced for a January 2018 airdate on BBC1 and BBC3 in the UK. The UK net has recommissioned the show for another three episodes.